Keeping the floor clean is very vital whether at home or in the workplace. 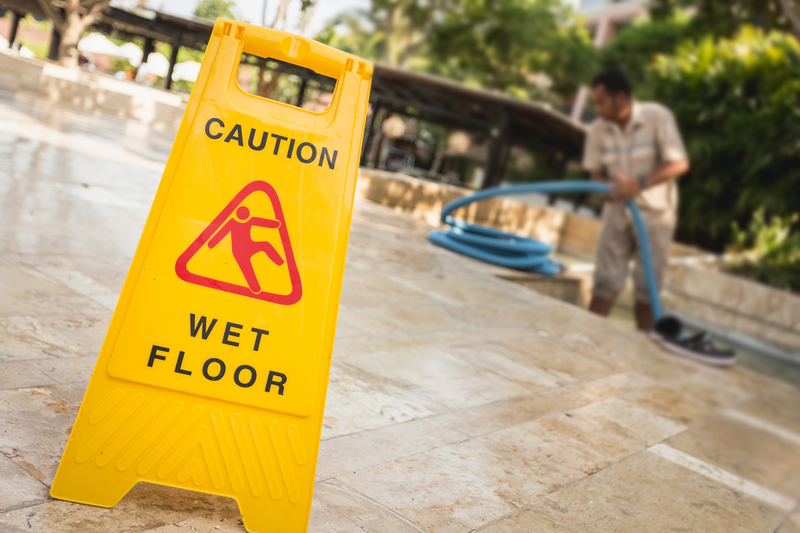 Different kinds of floors require different types of cleaning. For effective cleaning, the correct cleaning methods must be used. Office floor cleaning plays a significant role in the thriving of the business. Clients not only look at the kind of services and products you offer them while determining whether to get into business with you. They also check on how you maintain your office and the general setting of your workplace. When clients visit a clean office, they tend to gain confidence in your business, and they will advertise it through referrals. In the case that your office is not well cleaned, the clients will not come back, and they will give bad reviews to your business that will develop a bad reputation. Floor cleaning is also an art, and it requires to be done correctly to ensure the desired results are obtained. Getting a professional cleaner saves you a lot of time. That is because the professionals are experienced, and they do it faster than you can. Outsourcing their services ensures that the workplace is cleaned quickly, and you get on to other engagements of your day in the shortest possible time. Professional cleaners have experience in the floor cleaning services and hence they know the right cleaning products to use on different types of floors. If you clean your floor on your own, at times you may use the wrong products that may ruin your floor. Professional floor cleaning experts ensure that the cleaning is done correctly hence the floor is not ruined in any way. That ensures that you do not spend more money repairing ruined floors due to wrong cleaning methods and products. Floor cleaning also typically involve a lot of dust. Some of these specs of dust may cause allergies for you if you decide to clean without the protective outfits. Professionals have different cleaning techniques that ensure that minimal dust is blown into the air in the room. They also have protective masks that ensure that they are not affected by any dust particles in the air. It is advisable to outsource these services from the professionals to avoid falling ill as a result of inhaling dust while carrying out the floor cleaning act. Floor cleaning not only involve mopping and sweeping, but also buffing, waxing, scrubbing, stripping and burnishing depending on the type of surface. Some of these surfaces also need polishing and application of special coatings to ensure that they are long lasting. Floor surfaces that are not well sealed may acquire permanent stains that make the floor appear dirty and undesirable. These different procedures and processes require floor cleaning professionals. The professionals can maintain the floors in the correct states making them long lasting and well cleaned at all times. Ideally, floor cleaning professionals also advise you on the best ways of taking care of your floor to ensure that it is long lasting. They also give you simple procedures that you may use to clean your floor in case of any emergencies. The professionals also warn you against cleaning products that leave residues after use. For the best floor cleaning techniques and floor maintenance, always seek the services of Summit Janitorial Company in Greenville SC.